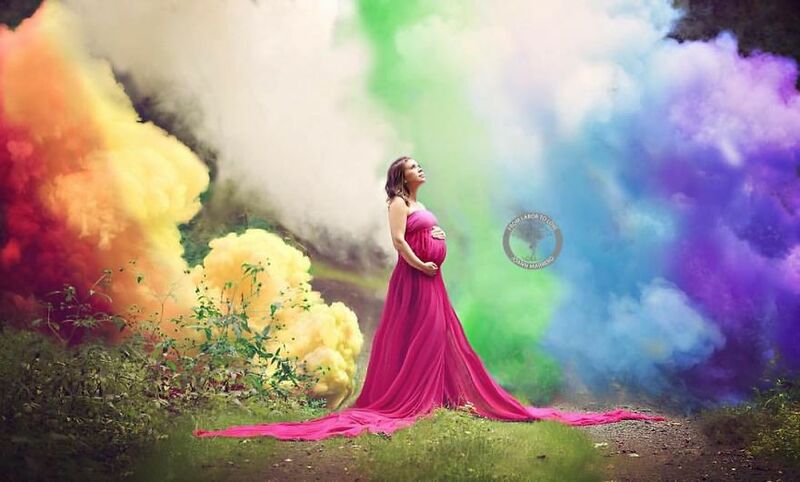 After suffering six miscarriages, Jessica Mahoney, is finally having a rainbow baby! 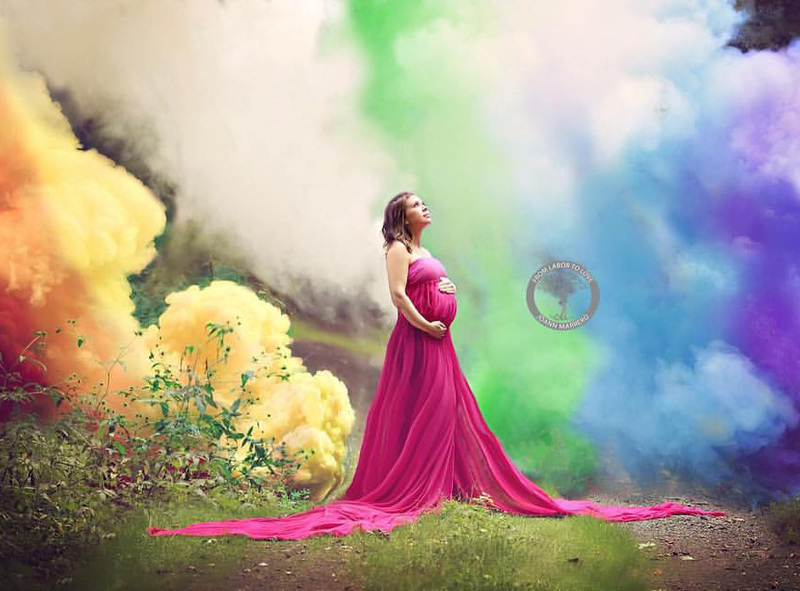 To celebrate this beautiful occasion, Connecticut-based couple asked photographer JoAnn Marrero to do something rainbow-inspired and it resulted in this colorful photoshoot. 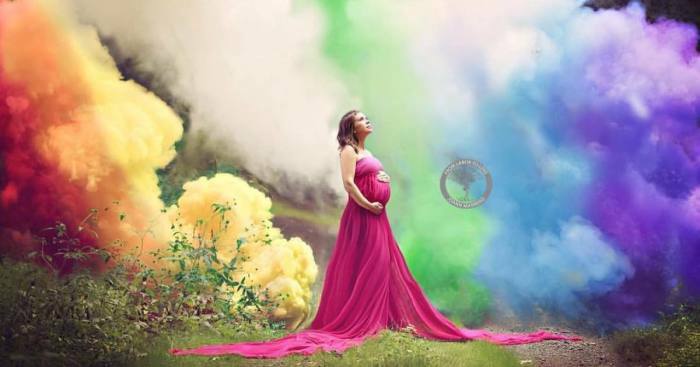 “Six babies lost to have the honor to carry this rainbow baby,” – Jessica wrote. 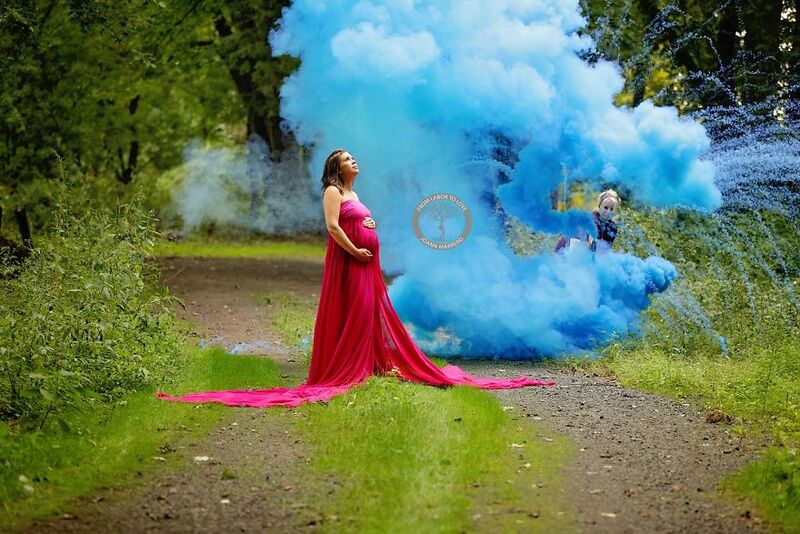 “I hope my story helps someone else to know they are not alone, as the journey of loss and infertility is dark and lonely.” This baby is their second child – the parents endured two miscarriages before they gave birth to a son, Corbin. Miscarriage is the most common complication of early pregnancy. Among females who know they are pregnant, the miscarriage rate is roughly 10% to 20%. “A rainbow baby is the understanding that the beauty of a rainbow does not negate the ravage of the storm. When a rainbow appears, it does not mean the storm never happened or the family is still not dealing with its aftermath. What it means is that something beautiful and full of light has appeared in the midst of the darkness and clouds <3” – wrote Pebbles and Polka Dots Photography. Is this baby born yet? Hate to be a pessimist but I wouldn't be rejoicing until a healthy baby was born. I don't think you're pessimist, I just think you're careful. I'm going to be Devil's advocate here (ready for the downvotes) and mention that she could have adopted at any time. Lots of kids in foster care would love to be a "rainbow baby." Adoption is not as easy as people think it is. It is often a very expensive, time consuming, and stressful process that does not even necessarily end in parents getting a child. Parents have to be vetted, they have to have the money, there is so much approval and buracracy to go through...it is sort of crass to treat adoption as such an easy alternative when it really is so much more complicated than that. Yes, adoption can be difficult and expensive but isn't going through a miscarriage very demanding of both body and mind? And then having 6 of them... I guess the yearning to have a baby can be overwhelming and ofcourse you can't know if the next one would be a miscarriage again but after 1-3... Wouldn't you start looking for other options? Over half of all pregnancies end in miscarriage, they just aren't noticed because they look like a period, and sometimes not like a heavy one. That yearning is at times a separate thing from desire for a child. Still giving you an up vote for those who can adopt. No down from me. 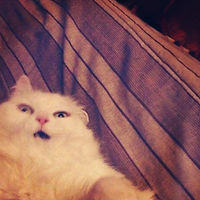 Just the observation that the yearning to carry and give birth to a baby can be almost overwhelming. What is a "rainbow" baby? A baby that is born after the parents had a baby who died.